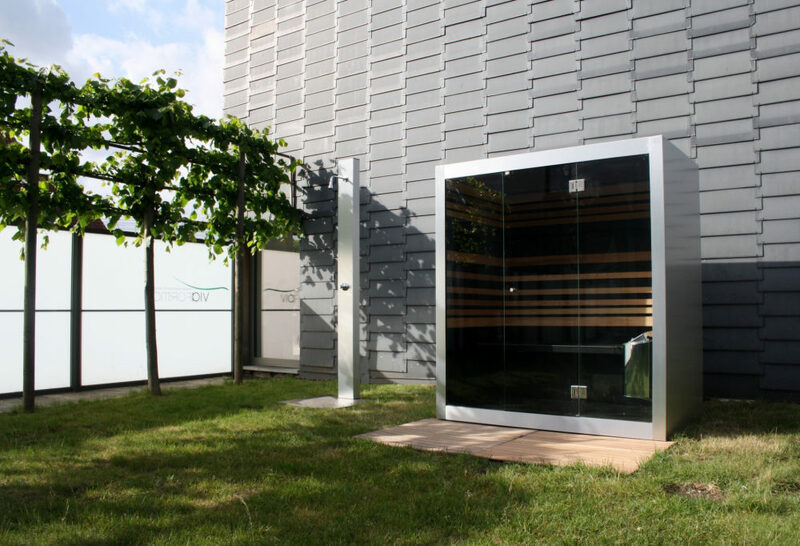 Thermalux, a specialist manufacturer of luxury sauna’s and steam baths has announced the launch of its Compact Outside Series, a sauna and steam room combination designed specifically to be located in a garden, patio, terrace area or similar. Deliberately engineered for compactness to create versatility in terms of where it can be located, the Compact Outside Series range is available in sizes from as little as 1300mm x110mm x 2030.50mm, that’s means it requires just 1.5 square metres of space! It is available in either black, white or a cutting-edge stainless steel ‘look’ but if desired can be supplied in any RAL colour to complement the dwellings exterior environment. screen control complete with integrated radio and Bluetooth function; an automatic aroma module can be added to help stimulate other bodily senses. The tranquil ambiance is completed by internal lighting consisting of 16 RGB colours. The Thermalux Compact Outside Series is available from £7,150 including VAT. For further information contact David Hart at Thermalux UK 1 The Croft Brixworth Northampton NN6 9PE. Telephone 01604 882615 or 07541 827673.